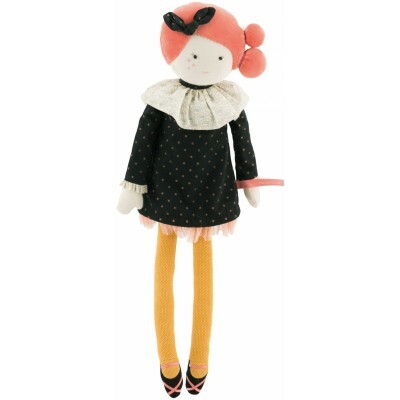 Madame Constance is displaying her new elegant look: a black glittery dress in cotton, a collar and ballet shoes. Always dressed to the nines and hair styled with a chignon, this doll will delight your little girl. 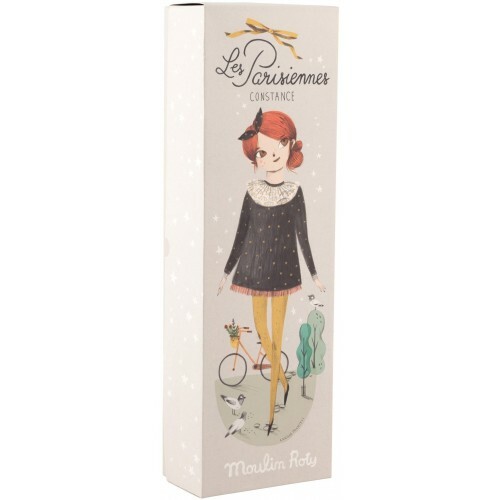 Comes in a gift box illustrated with Paris scenery. Dimension: 47 cm. In cotton and polyester. Delicate wash at 30 degrees. No tumble dry. From 1.